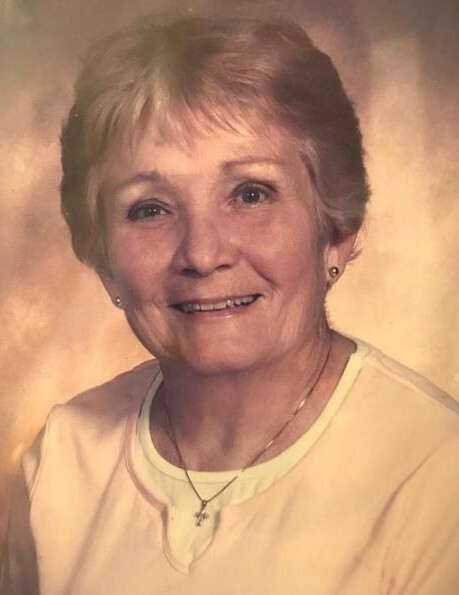 Mildred Allen Burton, 87, of Elm City went to her heavenly home on February 8, 2019 at Vidant Medical Center in Greenville with family nearby celebrating her life. A visitation will be held Monday Evening from 7-8:30 P.M. at Wilson Memorial Service The funeral will be 11 A.M. Tuesday, February 11 at Mt. Zion Methodist Church, 5326 London Church Road, Elm City. Rev. Drew Hellams will be officiating. The family will be gathering at the home of Cathy Speight. Mildred was born May 10, 1931 to Norman and Dida Barnes Allen and was a graduate of Black Creek School. She had a lifelong enjoyment of sports, bowling and playing basketball and softball. As a mother she was known to provide a playground for the kids in her backyard of the Speight Town neighborhood. She however was best defined by her love of family and friends for the many people who knew her as Millie, Mom, Granma, Gi-Gi and Me-Me. For the past few years, Mildred lived on Pridgen Road and was a member of Mt. Zion Methodist Church. Ms. Burton is survived by her daughters Cathy Speight of Elm City and Dale Speight (KK) of Wilson, and her son Bob Speight (Ellen) of Winterville. Her grandchildren Trisha Bass of Wilson, Sarah Wilson of Elm City, Jen Flanagan (John) of Raleigh, Mary Speight of Austin, CPT Joseph Speight of Fort Polk, Louisiana, Eric Lopez (Rochelle) of Lehi, Utah, Erin Merrill (Dallin) of Manassas, Virginia, Katie O’Conner of Houston, Texas, and Jeremy Lopez of Corpus Christi, Texas, as well as her seven great-grandchildren, daughter-in-law Margie Speight of Niceville, Florida and her sister Lane Strickland of Wilson. Mildred was preceded in death by her parents, her son Lt. Colonel (Ret.) Joseph Allen “Al” Speight, sisters, Shirley Collier and Helen Matthews and brothers Kenneth Allen and Ray Allen.